 Orszag Praises Diagnostic Imaging Decision Support in Bloomberg Blog - ONRAD, Inc.
imagingBiz | To make a point about how health IT can curb runaway health care costs, Peter R. Orszag cited the experience of Partners HealthCare System Inc. in Boston. Orzag was President Obama’s director of the Office of Management and Budget and is now vice chairman of global banking at Citigroup and an adjunct senior fellow at the Council on Foreign Relations. Therefore, his description of how Partners used integrated clinical-decision support to curb diagnostic imaging over utilization is giving the not-for-profit health care provider a big publicity boost. According to Orzag, Partners, an early adopter of health IT at Brigham and Women’s Hospital and Massachusetts General Hospital, employs a system that gives ordering physicians computerized help in assessing the best tests and treatments for their patients. The system also gives the doctors feedback on how their rates of ordering CT and MRI tests compare with other physicians within the system. The decision support along with the pressure of seeing ordering rates compared to one’s peers led to imaging rates at Partners flattening, and in some specialties even declining from 2006 to 2009. The number of outpatient images per patient, for example, fell 25 percent in that period.